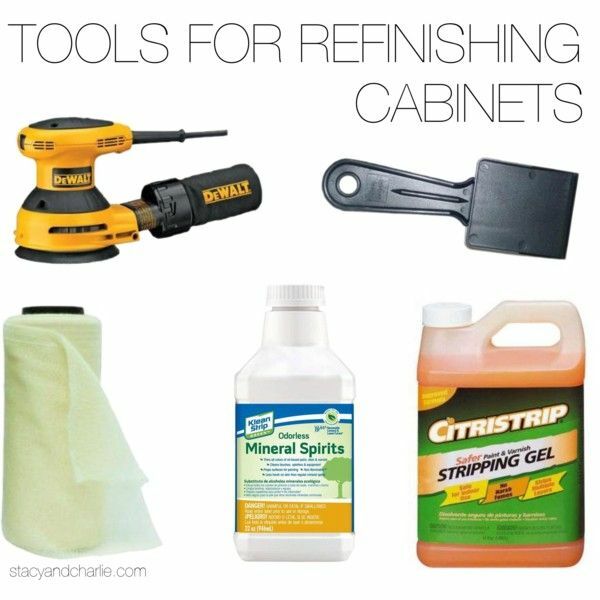 I've had a lot of questions about how we updated our kitchen cabinets, so I figured I would share in a blog post! The truth is, I actually sat on it for awhile before figuring out what I wanted to do. I knew I didn't want to sand down and paint the cabinets as they were. The detailing on the front made them look dated and heavy, and they were going to be a nightmare to sand. I looked into possibly getting new doors, but quickly ruled that out due to cost - We're only staying in this house for a few years, so I didn't want to invest that kind of money on something where we wouldn't see a return. After thinking about it for a few weeks, it occurred to me that the detail was probably only an attached panel and not actually carved into the wood, so I had Charlie try to pry one off, and it worked! At this point I thought they would be a breeze to sand since they were now flat and I only had to get around the edges, but I was so very wrong. 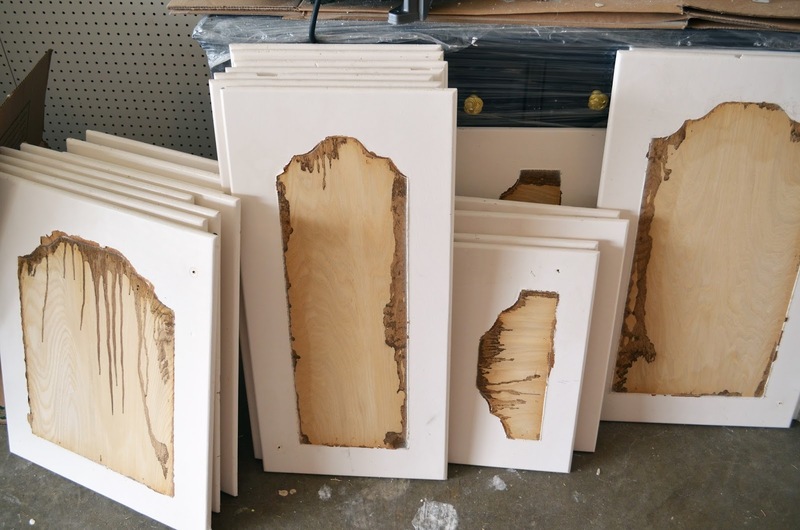 They were painted with multiple coats of oil based paint, and since oil paint dries so hard, the sander wasn't making much of a dent. At this point I was pretty bummed because I try to avoid using paint stripper whenever possible. It smells, it's not very safe, and it's a mess to use. 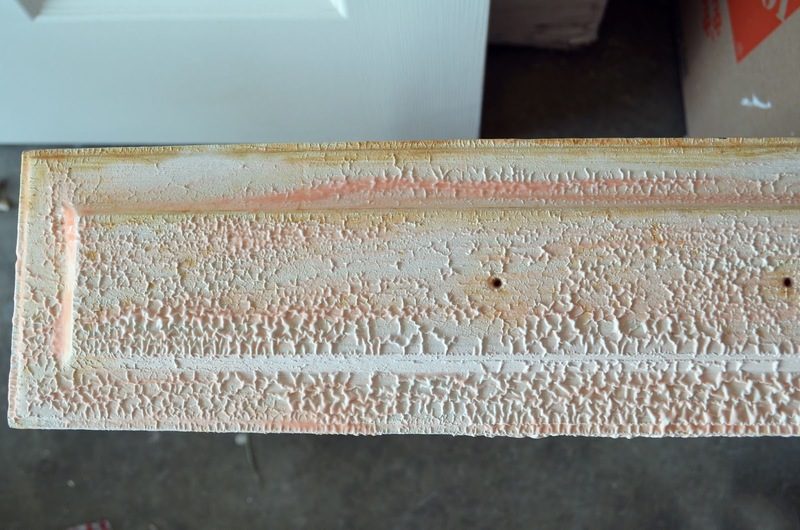 I checked out my options at Home Depot and found Citristrip, which was supposed to be a safer alternative to paint stripper, and decided to give it a try. I still used gloves during the application, but even when I accidentally got it on my skin it didn't burn. We were also excited that we didn't have to wear masks like we would if using other toxic strippers. We painted on a pretty think coat (I would describe it as the consistency of icing), and let it sit for about 30 minutes until it looked bubbly. 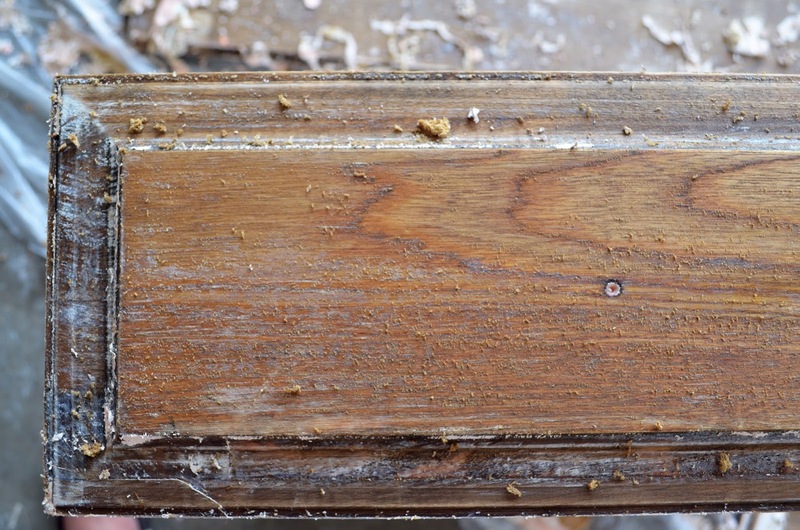 Going with the grain, use a paint scraper and most of it should come off in one swipe. 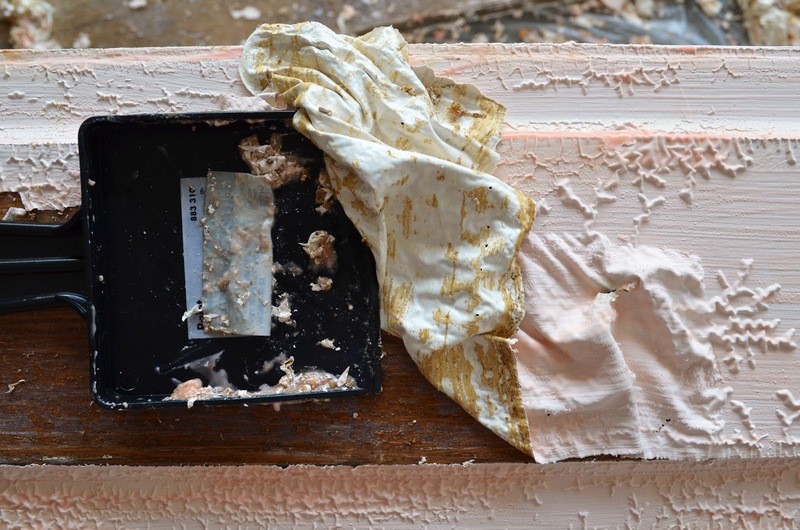 If it doesn't come off easily, paint on another thick coat, let it sit, and then try again. The key is putting on a thick coat, and not letting it sit too long. We found if it sat too long it dried out too much and flaked off making it difficult to remove. After removing most of the paint we still had a lot of residue, so we used odorless mineral spirits to clean it up, gave it a good sanding, and then it was ready for primer and paint. This was definitely a time consuming and messy process, but we were able to complete it in about 3 days. It will take a long time before you can convince me to do it again, but we saved thousands of dollars by refinishing the cabinets ourselves and not hiring the job out. 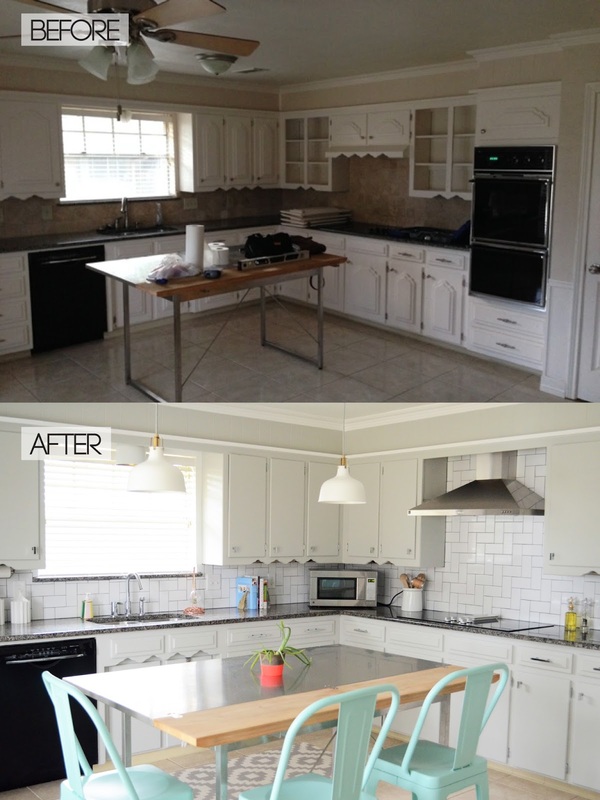 If you want to see our full kitchen update, make sure to check out yesterday's post!